KINGSVILLE (March 29, 2019) — When Paul Mobley set out to capture the soul of our country’s farm communities, he encountered an enduring rural culture that remains rooted in the principles of tradition, family, integrity and hard work. The results of his cross-country trip will be on display in his American Farmer exhibit at the John E. Conner Museum on the Texas A&M University-Kingsville campus beginning Saturday, April 6, through Friday, May 24. American Farmer features 45 prints by photographer Mobley that were shot on a cross country trip from Alaska to Florida in 2006 and 2007. He and his camera were welcomed time and time again into the homes of hundreds of farm families. Mobley came to know the independent farmer’s spirit from both behind the lens and across the dinner table. He sought the elusive spirit of agriculture, looking for subjects that mirrored the projects’ sense of risk and independence. The resulting images show farmers with a strong sense of where they belong, a close connection to the land and their day-to-day work as it reflects the rest of the world. 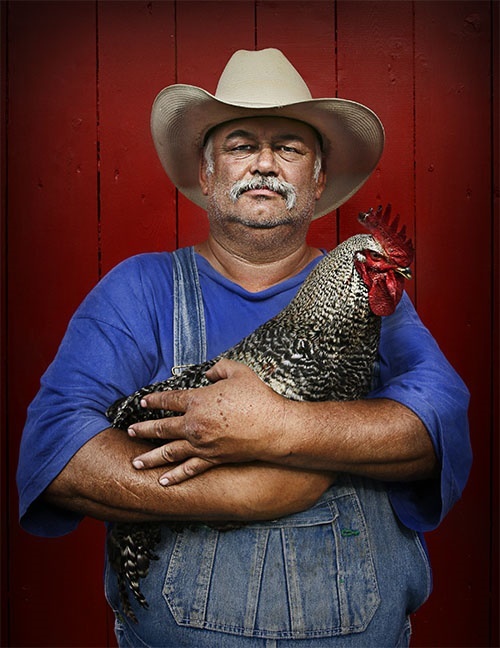 Out of a collection of more than 200 of these portraits, ExhibitsUSA has distilled a selection of 45 iconic portraits showing the geographic and cultural diversity of the American Farmer. This vivid portfolio is accompanied by anecdotes and memories in the farmers’ own words that are both a testament to the enduring hospitality and a moving glimpse into the hardships and joys of a quickly disappearing way of life—one that once defined our national identity and now struggles to remain vital. Mobley is an American photographer who has traveled from remote Alaskan villages to the majestic palaces of Croatia to find the face of a thousand words. Mobley’s first book, American Farmer: Portraits from the Heartland, was first published in the fall of 2008 by Welcome Books and received the 2009 Western Heritage Award for Best Photography Book from the National Cowboy and Western Heritage Museum. The museum is located at 905 W. Santa Gertrudis Ave. Museum hours are 8 a.m. through 5 p.m. weekdays; 10 a.m. through 4 p.m. Saturdays; and closed university holidays. Admission to the museum and exhibit is free but donations are appreciated. Mid-America Arts Alliance (M-AAA) strengthens and supports artists, cultural organizations, and communities throughout our region and beyond. Additional information about M-AAA is available at www.maaa.org.